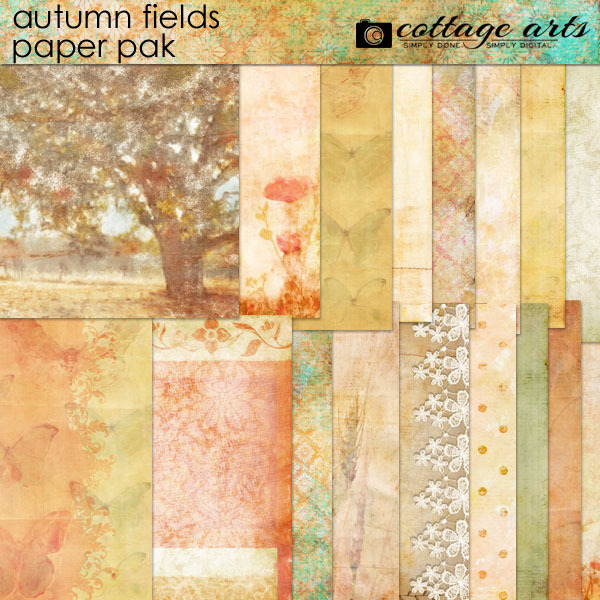 Our Autumn Fields collection celebrates the fall season and the gorgeous hues it shares with us, in weathered collages and painted nature vistas. We hope you'll use them again and again in all of your digital artwork, heritage scrapping, art journaling, and everyday scrapping. 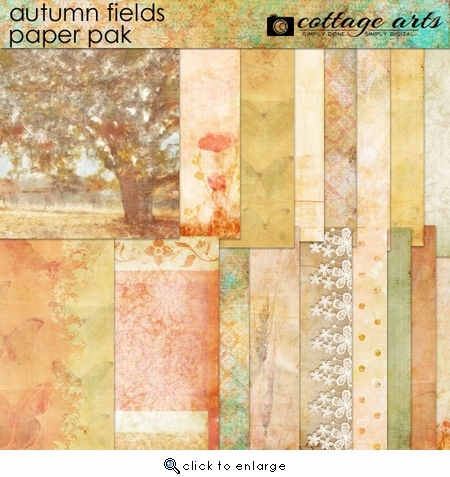 Kit includes 18 - 12x12 papers (18 unique collages and patterns - not all shown on preview). 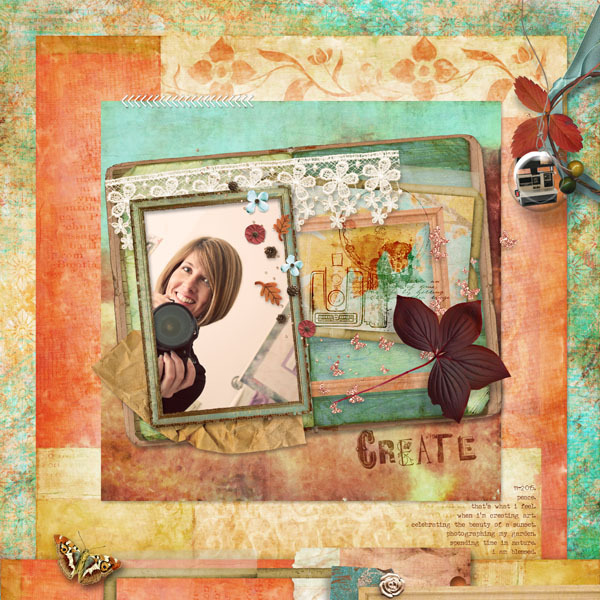 See more layout ideas Autumn Fields Papers and Elements in our gallery here.